A panel of industry leading experts – including founders, investors, and advocates – will assess the applicants and select winners for each category. Nejoud has worked for 10-years at JPMorgan Chase Bank in the corporate investment banking space. In early 2018 she joined the Small & Medium Size Enterprises General Authority (SMEA/Monshaat) as the International Strategic Partnership Director, managed international relationships for SMEs including startups and entrepreneurs to attract and design the desired partnerships to achieve growth and economic contribution across industries. In October 2018 she was appointed as Fintech Saudi Director-Gov lead initiative-to support the efforts around enabling fintech ecosystem development in Saudi Arabia. 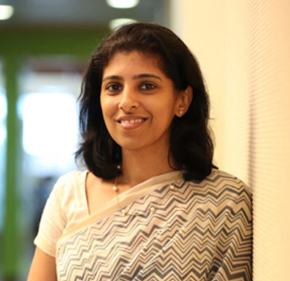 Bindu is the co-founder and chair of Dvara group of companies that includes Dvara KGFS, Dvara Solutions and Dvara Research. Prior to this Bindu worked at ICICI bank for 7 years as a founding member of the microfinance practice. Bindu has co-edited “Financial Engineering for Low-Income Households”, a book published by SAGE. She has also published in the Economic and Political Weekly, OECD Trade Paper Series and the Small Enterprise Development Journal. She was a member of RBI Committee on comprehensive Financial Services for Low-Income Households and Small Businesses). Founder & CEO, FS Card Inc.
Marla Blow is the Founder & CEO of FS Card, Inc., a venture designed to move small-dollar loan customers into more consumer-friendly products. Marla is a Henry Crown Fellow at The Aspen Institute and has held positions with the Consumer Financial Protection Bureau, CapitalOne, and JPMorgan Chase. Mr. Castellanos manages new business for the Financial Institutions Group (FIG) for the Latin American and the Caribbean (LAC) region. Prior to IFC, Mr. Castellanos served as Deputy CEO in BCP Bolivia and in many roles at Grupo Financiero Bisa, most recently as Banco Bisa International and Finance VP, and before that as Bisa Leasing CEO. Marcelo also worked at Corp Group, as Product Manager in Corp Banca Argentina. He received a BS in Industrial Engineering from Universidad de Buenos Aires and an MBA from Harvard. 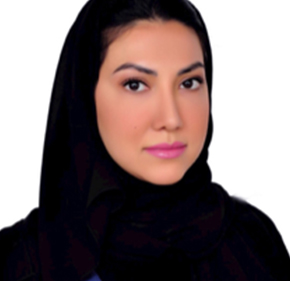 Nadine Chehade is a Senior Financial Sector Specialist, representing CGAP in the Arab world. She works to deepen CGAP’s engagement in the region, collaborating with various partners, including regulators and policy-makers, donors and investors, regional associations, and businesses. She currently focuses on fintechs and leads CGAP’s efforts exploring the role of financial services in humanitarian crises. More broadly, she covers matters related to regulation, business, and markets, with the overarching goal of advancing financial inclusion. Alejandro is the Director de Captacion for Banco Azteca. Previously he held a similar role at Scotiabank Inverlat after spending time as the Director Prestamos Personales. Alejandro also served on the financial education committee with the Asociacion de Bancos de Mexico. Paul is Chairman of Equilibre Bio-energy Production and Merryn Capital. He was formerly Executive Chairman of Emerging Markets Payments Limited (EMPH) until the sale of EMPH. Previous roles include Executive Chairman of Chartwell Capital, Group CEO of MTN Ltd, and Chairman and CEO of ITC, among others. Bernhard Eikenberg is a Fund Manager with Bamboo Capital Partners. He joined Bamboo in 2009, and in 2010 moved to Colombia to set up and manage Bamboo’s regional office and investment activities out of Colombia. In 2015 he returned to Europe to manage Bamboo’s second financial inclusion equity fund, focusing on fintech investments globally. Bernhard started his career at JPMorgan in London in fixed income derivatives. Sergio is the Founder & CEO of Creditas, the digital lending platform. Sergio also serves on several boards including the HBS Alumni Angels of Brazil, Agendor, and Clicksign. Prior to founding Creditas, Sergio was a Principal with the Boston Consulting Group and a Vice President at Deutsche Bank. Nick leads new product and new market activities for M-KOPA. Until 2009, Nick was Head of Global Payments at Vodafone Group, where he started M-PESA in 2004. Nick has PhD in Applied Science and an MBA from London Business School. He received an Economist Innovation Award in 2010. Zennon Kapron is a Director at Kapronasia, a financial industry market research firm focused on helping fintech companies and financial institutions in Asia. Zennon was the Global Banking Industry Manager for Intel based out of Shanghai and prior to Intel, worked for Citi for a number of years in the US and Europe culminating as his role as CIO for Citigroup Portugal. Machal leads the impact management of CDC’s investments in financial services across products, and has previously worked for LeapFrog Investments, Oxford Policy Management and the MasterCard Foundation. She is currently also a Director for the Financial Inclusion Forum for the UK. Françoise Lamotte joined MetLife in 2015 as senior vice president, head of direct distribution and digital for the EMEA region. She has more than two decades worth of experience in the financial services industry, both in transformational business leadership as well as P&L management, focused on direct distribution, digital and innovation. Greg is a Director on the Social Impact team at BlackRock, focusing on strategy development. Greg has led the development and launch of BlackRock's Emergency Savings Initiative. Prior to joining BlackRock in 2015, Greg served as Chief of Staff to the President of The Robin Hood Foundation, supporting the organization's work with its Board of Directors as well as its internal operations. Prior to Robin Hood, Greg held diverse international management roles working on small and large scale projects. Rob Levy is Vice President, Financial Health at CFSI where he leads the research and thought leadership practice. His portfolio includes consumer and industry research, product-level analyses, and business best practices designed to inform the marketplace on how to improve consumer financial health outcomes while generating long-term business growth. M. Yasmina McCarty is the Head of Mobile for Development at the GSMA, where she leads a global team delivering digital innovations in agriculture, energy, water, sanitation, health, financial services, identity, humanitarian response and gender equality. Yasmina’s work brings together mobile operators, tech innovators, donors, and policy makers to tackle inequality; This work has impacted more than 55 million people to date. Before joining the GSMA, Yasmina co-founded GreenMango, a social enterprise in India, helping low-income entrepreneurs grow their small businesses. Amolo N’gweno is the CEO and East Africa Regional Director for BFA. She heads up the Nairobi office while also leading the Finance for Life area of expertise, focusing on financial services addressing development areas such as health and education. Formerly, she was the Managing Director of Digital Divide Data Kenya, a social enterprise that provides data and research services to companies and governments, while hiring young people from disadvantaged backgrounds and supporting their higher education. Prior to that, Amolo held a position as Deputy Director in the Financial Services for the Poor team at the Bill and Melinda Gates Foundation. Tayo is the founder & CEO of Paga (www.mypaga.com). Paga is a mobile payment company, building an ecosystem to enable people digitally send and receive money as well as creating simple financial access for everyone. Paga is the leading mobile money service in Nigeria, its first market. Prior to Paga, Tayo was Vice-President at Travant Capital Partners, a private equity fund in West Africa. Prior to joining Travant, Tayo was a Manager, Corporate Development, at Cisco Systems in San Jose California. Tayo’s work at Paga has been recognized globally - in 2014 CNBC selected Tayo as the Entrepreneur of the Year West Africa. Anju Patwardhan is Managing Director at CreditEase for its global Fintech Investment Fund and Fund of Funds of USD 1 billion. CreditEase, established in 2006, is a leading Fintech company in China, specializing in Wealth Management, Asset Management, and Marketplace Lending. Anju has over 25 years of banking experience with Citibank and Standard Chartered Bank (SCB) in global and regional leadership roles. She has held senior positions including Chief Operating Officer, Chief Risk Officer, and Digital Banking Head, and her last role at SCB was as the Global Chief Innovation Officer. Mr. Parag Rao, Country Head – Payments Business, Marketing, HDFC Bank Ltd. Mr. Parag Rao is the Country Head for the Payments Business and Marketing at HDFC Bank Ltd. The Payments Business includes Debit Cards, Credit Cards, Prepaid & Commercial Cards, Merchant Acquiring Services, Digital Payments Infrastructure, and Consumer Finance Business. In his current role, he also spearheads Marketing which includes Brand Communication and Analytics functions. Clinton is a Director of Visa's San Francisco Innovation Center after first joining Visa as a Director of Business Development for ATM Products. Prior to Visa, Clinton was the Founder & CEO of FreeATM, Inc., the New York-based startup that replaced out-of-network fees with an advertising-supported model. Zia is the Chief Innovation Officer for MetLife Asia and Chief Executive Officer of LumenLab, an innovation centre based in Singapore. As a member of MetLife’s Asia Leadership Group, he is responsible for steering the company’s innovation agenda across the region, with a focus on addressing the health, aging, and wealth needs of Asia-based consumers. Gabriela is a strategic advisor to various private and public institutions and fintech startups involved in financial inclusion and financial health of low-income households in Latin America. She is actively involved in a number of related projects with MetLife Foundation, Bankable Frontier Associates and the UNSGSA, among others. Previously, she was Senior Program Officer at the Bill & Melinda Gates Foundation and Director of Promotion of Financial Organizations at the Ministry of Agriculture in Mexico. She holds a master’s degree from Cornell University.